My introduction to the fantastical mind of John Hughes arrived mid-summer 1986, when I was oddly granted permission to see �Ferris Bueller�s Day Off� at the local mall 4-plex with a friend. I was 10 years old, adorable, and utterly unaware of Hughes at the time. The champagne-worthy celebration that sweltering day was strictly regulated to being let out of the house and permitted to devour forbidden PG-13 fruit without intrusion from irrationally judgmental parents. �Ferris� provided me with endless material to pore over, instilled slapstick daydreams, and offered a peek behind the terrifying curtain of high school social politics. The film also reserved a front row seat for me to observe the John Hughes way of business, where a block of comedy was shaved down to precise scientific measurements and executed with generous fondness for character. �Ferris� was different. It reverberated within unlike most of my matinee flirtations. Little did I know it would jump-start a love affair with the Hughes universe that would last to this day. Hearing about the death of John Hughes late Thursday afternoon brought on a slew of mixed feelings. Certainly this was a major loss of an influential Hollywood icon, but Hughes took himself out of the game long ago, content to cultivate a quieter life of farming and writing with his family, coasting on the legacy he built for himself throughout most of the 1980s and early 1990s. Hughes only directed eight movies, with seven of those pictures either branded absolute divinity or gifted a substantial cult following. An incredible batting average. His last film, 1991�s �Curly Sue,� is his only career question mark; it�s a wistful, intriguing picture that�s beautifully crafted from top to bottom, but tonally problematic, caught between Hughes�s desire to grow as an adult filmmaker and scratch an itch for boisterous family entertainment -- an aesthetic that would eventually earn the mulleted one truckloads of money, but softened his instincts to a disturbing degree. Criminally, I wasn�t a member of the teen generation that Hughes�s films helped to define. I was two bumbling steps behind, watching these features with a wide-eyed inquisitiveness, absorbing the brilliantly melodramatic activities as gospel. Hughes wrote cinema, but his ear for adolescent sensitivity was unmatched in the industry, allowing his emergent characters an opportunity to soulfully explore their hearts before engaging in expected screen silliness. Hughes loved to invent people, with stories and dialogue that celebrated individual voices, packed tightly within some of the finest comedies of the decade. It was an instinctive spark of interest in the amplified concerns of youth that helped to ground and beautify his films. Hughes wasn�t a miracle man, just resplendently observant in a genre that preferred dim, nubile things over relevance, putting forth movies that believed in the universal power of awkwardness and frayed (but repairable) threads of self-confidence. In essence, he allowed his teen characters to be unapologetic drama queens, thus guaranteeing himself access to the empathy of millions. It was a cunning way for Hughes to conduct business, pulled off with his virtuoso filmmaking skill. I adored Hughes for his sensitive scripting, but treasured his comic timing. His gift for churning out laughs was a personal quality often overshadowed by the whole �voice of a generation� business. 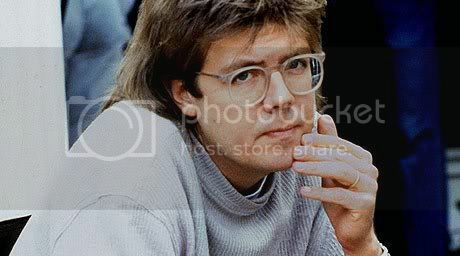 Yet, when I think of John Hughes, I recall endless hours sitting in front of a television studying the timing of his films, concentrating on his distinctive editorial rhythms and master use of the extreme close-up. John Hughes became my personal comedy professor. He was genius at pulling idiosyncrasy and discomfort out of any scene, and the man loved to chase absurdity as far as it could gallop. 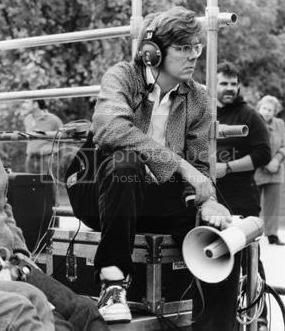 There was a gleeful freedom with a John Hughes picture that few other filmmakers would dare to entertain. Just look at �Weird Science.� A teen horndog film with the ultimate T&A concept (teen nerds �make� their perfect woman), the picture is as bizarre and cartwheeling as can be, basted in a contented lunacy that�s never forced, but always alert. That�s the John Hughes way. The Hughes-Fu I�ll never tire of. �The Breakfast Club,� �Ferris Bueller�s Day Off,� and �Sixteen Candles� were the iconic masterpieces. �Weird Science� was the needed vacation. �Planes, Trains, and Automobiles� and �She�s Having a Baby� remain superb stabs at personal artistic growth. �Uncle Buck� was the underrated classic. Screenplays for �Pretty in Pink� and �Some Kind of Wonderful� offered Hughes�s unmistakable voice to further develop glorious teen heartbreak. �Vacation� and �Christmas Vacation� brought Hughes back down to Earth and gave Chevy Chase purpose. �Home Alone� continues to be a beloved holiday classic (and rightfully so). �Career Opportunities?� A personal favorite of mine. And all of them possess effervescent Hughes-selected soundtracks to die for. These are the memories of John Hughes I will always cherish, and I hope to pass these movies down to my own children one day, who will undoubtedly start questioning hairstyles and tech-less existence within the first ten minutes. Hopefully the comedy and the heart will quickly silence the cynicism. Like many, I held a secret hope in my back pocket for a brand spankin� new Hughes film to emerge one day, perhaps in the form of a long-rumored �Breakfast Club� or �Ferris Bueller� sequel. It didn�t matter what it was, as long as it was him. Taking an eternity to work the �Home Alone� cash-machine mentality out of his system, Hughes was primed for a terrific comeback. Now it will never be. It feels so odd to mourn a filmmaker who abandoned his career long ago, but the shock of his death, and its aching finality, is almost too much to bear.